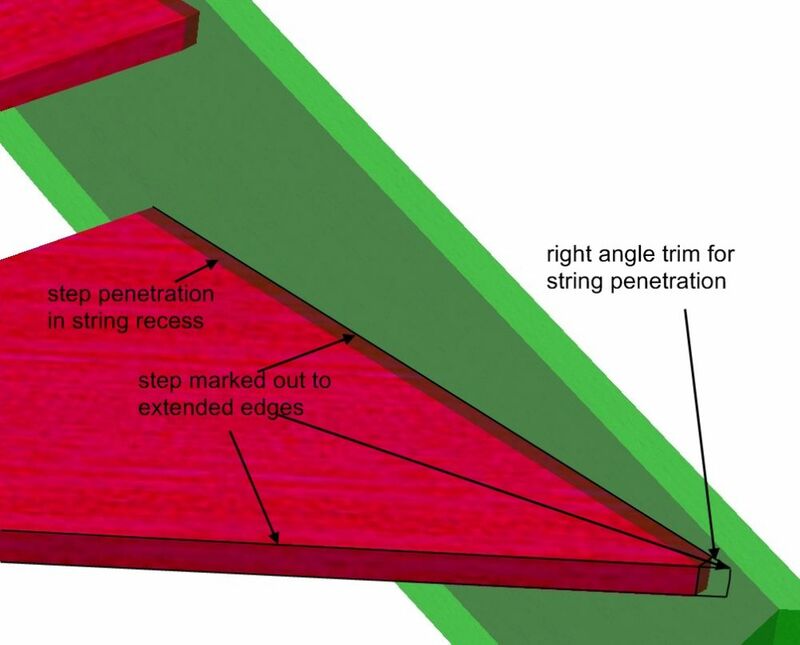 For machining the cut string riser angles you’ll have to work on a 5 axis CNC. 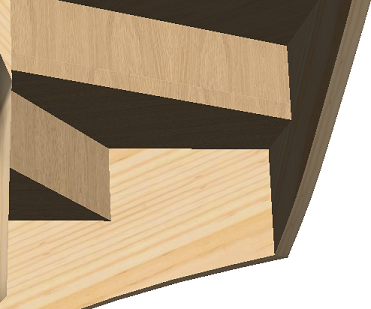 You can program the angled cut from the 3D file or from the 2D DXF file. The best way you do this will depend on the CAM software and the machine tooling that you are using. Can you post more information on these? I think you misunderstood the angle which I talked about. Let me clarify what i mean. When I would add to this a riser and the stringboard would not bee at an angle I’d get a gap between the riser and the stringbord. 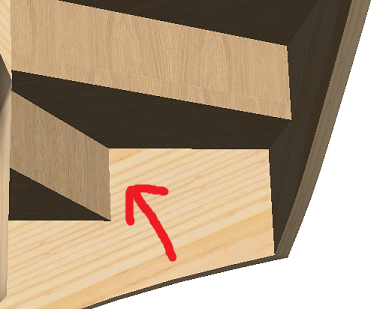 When steps are angled the housing are cut at right angles to the string and the steps are trimmed to fit. Making the housing sloped is not only very difficult but makes it impossible to assemble the steps. Although 3D DXF files are perfectly accurate and could be used for manufacturing it’s better to keep them for special circumstances and shapes. The 2D DXf files are generally used for CNC machining I suggest that you stick with this unless you have a good reason not to. 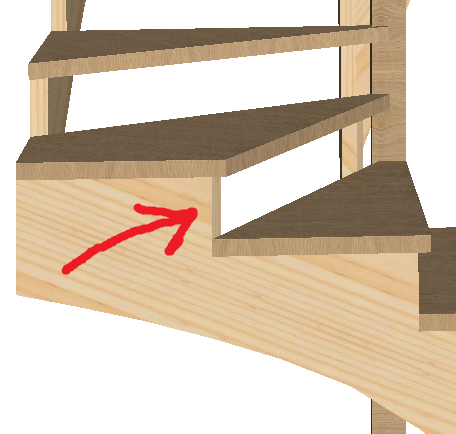 I’m planning to do a cut string stair, and I would need to use the 3D model not the DFX file to CNC machine the strings. Because steps are at an angle. but i am not sure if the dimensions and angles are accurate. Is the model only for show, or can i use it for drive surfaces?